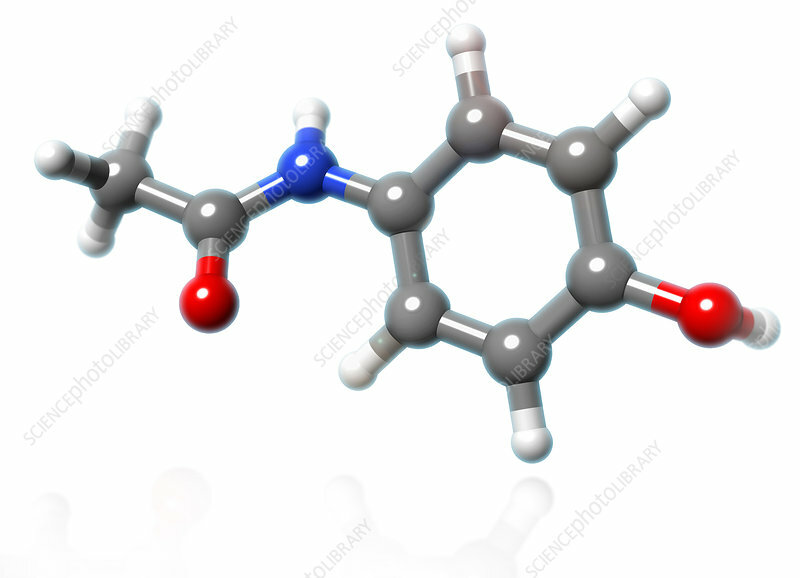 A molecular model of acetaminophen (a.k.a. paracetamol), an over-the-counter drug commonly used for pain relief and fever reduction. Acetaminophen is often used for treating minor aches and pains, yet it can also be combined with other analgesics to manage more severe pain. However, prolonged use or overdose can result in severe illness such as stomach bleeding, kidney damage or acute liver failure. Atoms are coloured dark gray (carbon), light gray (hydrogen), red (oxygen) and blue (nitrogen).